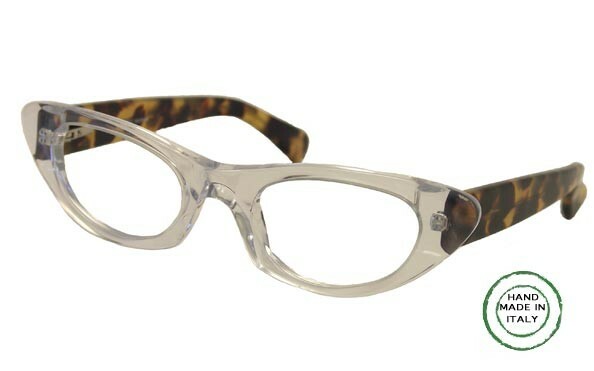 ME318 Cat eye eyeglasses size 5 3/4 " X 1 3/8 " (A=49,B=29,dbl=21,temple=150). 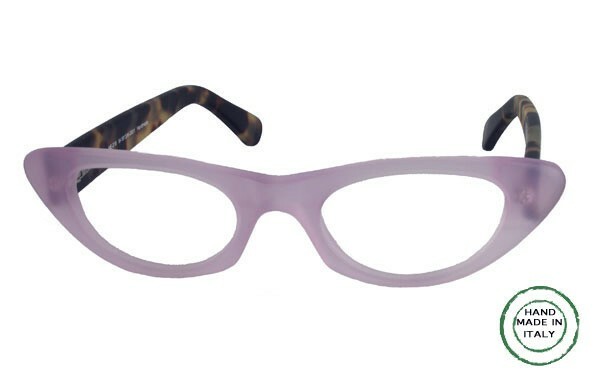 Feminine, sharp, cat eye shaped reading glasses. 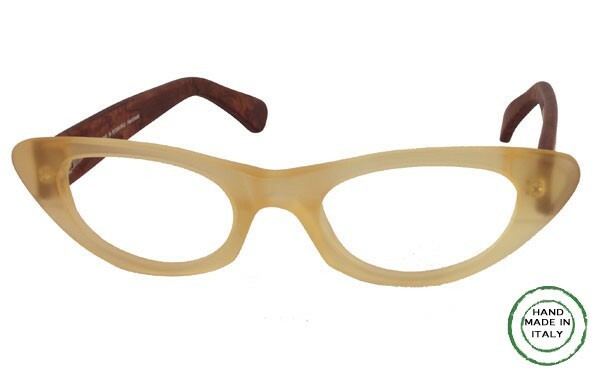 A strong fashion statement, sophisticated, modern, and most complimenting reader. Reminiscent of Hollywood in the 50's retro look. This reader is good for you, live it and love it. Both frames and lenses are optical quality. Made in Italy. Also available as SUNGLASSES. 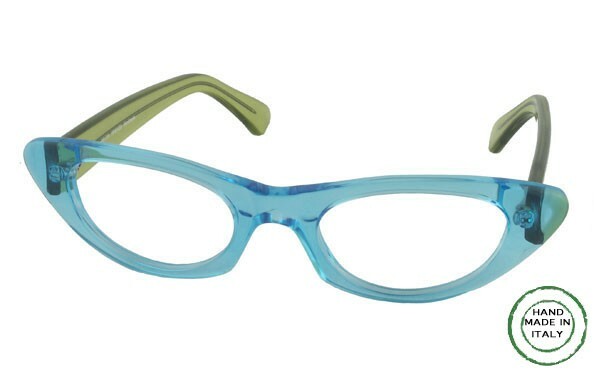 and as eyeglass frame only.